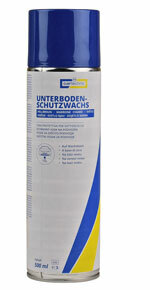 Protecton wax for the underside and wheel cases for many vehicles. To spray the wax an special atomizer pistol lance will be needed. Recommended amount 300g/qm, source function 3-4qm. 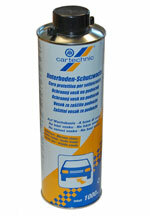 Best use for body work, vehicle manufacturing and road maintenance. The wax protect the cars against mechanical and chemical stress like rock chips, gritting salt, water and so on. And corrosion will be bewared. To spray the wax no special tools will be needed. Recommended amount 300g/qm, source function 1,5qm.